The sun is FINALLY shining and that makes me feel joyful and reborn. I originally moved to the Pacific Northwest from Southern California to experience more seasons. To see things growing because they could, not because they had been watered daily. When I first stepped out of my car in Seattle, I remember vividly being surprised to smell the grass coated in dew. That said, after a spring like this one, I find myself craving sun like a junkie. Now that it has finally appeared, my mood has turned euphoric. Hence this becomes a good day to write on Random Acts of Kindness. It's been more difficult that I thought coming up with ideas. Working from home doesn't put one out in the general community where opportunities arise naturally. One early idea I had was to put money in parking meters. I have paid more than my fair share of tickets when interviews went longer than expected, but with the advent of pay by credit card, there is no way to tell which person needs your help. The other day I realized the lowly grocery store shopping cart might provide the perfect opportunity. How many times have you searched your pockets and realized you didn't have the right coin to get a cart? Then it's into the store where you have to wait patiently for a clerk to exchange your money. Voila - an idea is born! 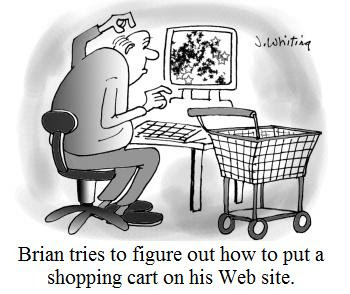 Now every few shopping trips, when no one is in the parking lot to observe my skulduggery, I leave my cart without taking the coin out. 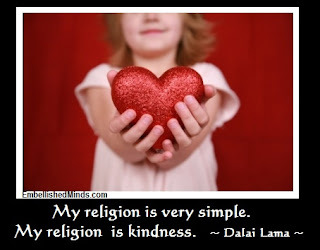 I have no idea if it makes someone's day or not, but it makes me smile. My hope it that when they find a cart with the coin already in it, they feel like it's there lucky day. 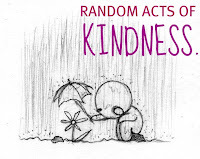 Here again is proof positive that those Random Acts of Kindness don't need to be huge and significant, they can be just small - what I would like to label "Surprise Bombs" - that pop out of the blue to brighten someone's day. 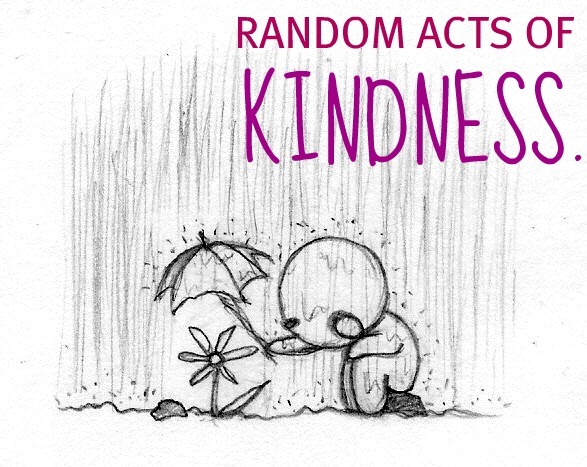 BTW - did you know there is a Random Acts of Kindness Organization that includes a list of ideas? It's my next stop today. 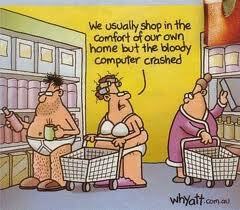 Now just for a little fun - a few shopping car cartoons to make you smile! HAHAHAHAHAHA!